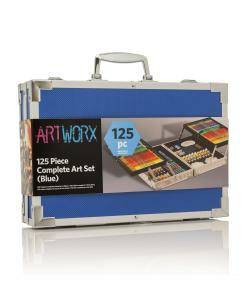 Deluxe Aluminium art case by ArtWorx is the ultimate artist's set for children and adults alike. 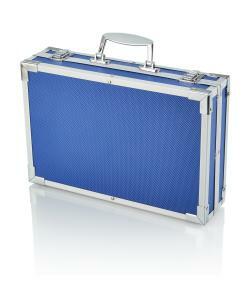 The stunning aluminum case includes all the tools and colors necessary to bring creative ideas to life. The deluxe case features 2 fold-out upper level trays, strong metal fastening clips and a carry handle to keep items secure on the go! 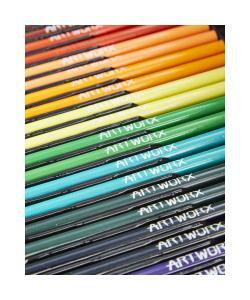 The ArtWorx Mixed Media Art Set is filled to the brim with artist's essentials that will enhance your masterpieces. Add colour, detail and depth with the paints, tools and brushes included in this expert set. 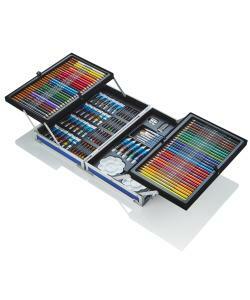 This fantastic, colourful set is the perfect way to take your painting to the next level and add depth to your work whether you are a beginner or intermidiate artist.